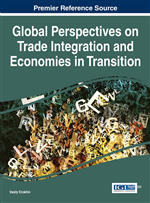 The chapter covers ranges and effects of globalization on economies in transition, as well as possibilities and limits in raising their competitiveness. International business has increased its size in the 20th century, mostly owing to trade liberalization and investments and partly owing to a fact that doing the international businesses has generally become easier and simpler. With regard to liberalization, the General Agreement on Tariffs and Trade has led to trade liberalization, and it was continued with establishment of the World Trade Organization in 1995. At the same time, capital mobility was liberalized by most of the countries, especially with development of electronic money transfer. Besides, by introduction of a new European monetary unit – euro, in January 2002 has been exerted influence to international business. With regard to international business, two main forces are important: technological progress, which made global communications and transport relatively fast and comfortable, and economies in transition, which brought about opening new markets. In today's global economy, international political events substantially affect many market activities. An important trend is a change, from a type of economy under the government control and a socialist political system, towards free market economy, and in many countries towards democratic governments. The republics of ex-communist countries of East Europe, like Hungary, Romania, and Poland move in this direction at different speeds. Making economies based on free market more efficient will probably require much time and efforts. Many countries continue to fight with new political and economic difficulties. The second important political development is moving towards free trade and away from protectionism. One of the possibilities is development of economic unions (blocks) worldwide. Nowadays, the biggest economic union is the European Union (EU), which consists of 27 European countries from Arctic to Mediterranean, representing the market of around 500 million inhabitants. Next in line is the North-American Agreement on Free Trade (NAFTA). It consists of the USA, Mexico, and Canada. The goal is to eliminate barriers in trade and to promote easier access to markets of every member-country. Prolonging this development means that trade clusters have a potential to ensure numerous jobs. Free trade trend exceeds the boundaries of trade clusters and is present globally. The best example of this development perspective is the General Agreement on Tariffs and Trade (GATT). This agreement was signed in 1994 by 124 countries, in order to eliminate trade barriers. The World Trade Organization (WTO) was established as the agreement's keeper, and the International Court was established to arbitrate in eventual trade disputes. Although the results were partial, the WTO has progressed slowly but stable towards free trade worldwide. State laws, which regulate advertising field Europe-wide, lead to a fact that what is acceptable in one country, may be forbidden in another. For example, advertising toys is forbidden in Greece, advertising tobacco is illegal in Scandinavia and Italy, advertising alcohol on television and sports fields is not allowed in France, and Germany prohibits any commercial, which considers flashy (Jobber & Fahy, 2006, p. 44). On the other hand, instability in the Middle East and continuous threat of global terrorism have strengthened the awareness on companies about significance of monitoring the factors of political risks on international markets on which they do business. The accession of ten new members to the European Union from South, Central and East Europe also have significant consequences for companies, which do business on the European markets. A certain number of candidates for accession have been observed as the areas of relatively high political risk, but also with potentially great market opportunities. Unstable political climate can expose companies to numerous commercial, economic and legal risks, which they would not face on their local markets. Restrictions of investments represent a common way governments use to interfere politically on the international markets, in the way they limit the level of investments, locations of factories, selection of local partners, and percentage of ownership. However, recent trends of trade agreements, privatizations and market reforms work towards the removal of trade restrictions. Globally, a consistent progress has been realized by trade agreements in past forty years. The WTO has made a certain number of international agreements by which quotas were increased, taxes were decreased, and a specific number of innovative measures for incitement trade were introduced among countries. Together with making regional trade agreements in the European Union, North and South America, and Asia, these reforms did deflection to a more stable political environment in the sphere of international trade. Understanding of these issues is of essential significance for work of managers in transition economies, due to which the models of free trade, regional trade agreements, and development of the world institutions for trade have to be researched in details, aiming to facilitate economic relations with foreign countries.